What would visitors from another planet think if they landed on Earth and heard us talking about pension drawdown and annuities? No doubt ET would have phoned home; when it comes to understanding your pension options, it can feel complicated and alien because of the language some pension companies use. Yet, making sure your pension is properly invested and as cost effective as possible, could mean a retirement for you that’s out of this world. If Martian’s ever did land on Earth, we’re confident they’d give Portafina a call to make sure they have everything in place for a financially secure future. And here’s how we’d explain things to them, in plain and uncomplicated English. This is an insurance company product where you exchange the savings in your pension pot for a guaranteed regular income, usually for life. If you are thinking about buying an annuity, read this first. This is the risk you are prepared to take with your pension savings when they are invested. Broadly, you could consider yourself a cautious, medium or high-risk investor. Wondering what type of risk taker you are in general? Take this quiz and find out! Bonds, which make up a proportion of many people’s pension investments, are loans to governments and corporations. The growth from investment in bonds comes from the interest charged as these loans are repaid. Different bonds provide different levels of risk and growth rates. They are designed not to be volatile and generally offer relatively low growth. Sometimes referred to as an annual management charge (AMC). These charges are deducted from your pension to pay for the administration and management of your savings. If you die before the age of 75, your personal pension can be paid as a tax-free lump sum to any beneficiary/beneficiaries of your choice. 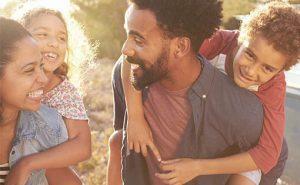 To find out how you can leave your pension to your children, click here. If you die after 75, your pension can still be paid to your beneficiary as a lump sum, but at the beneficiary’s marginal rate of income tax. It’s possible for beneficiaries to take an income, too. This is an option where from the age of 55 your pension pot remains invested, while you take out a regular income or occasional cash sums. It is often referred to as pension drawdown, flexi-access drawdown (FAD) or income drawdown. You can usually take up to 25% of the pot as a tax-free lump sum when you first decide to move into drawdown1. We have answered the most common questions about drawdown here. These are company shares which pensions are invested in to grow the value of your savings and which are traded on stock markets in the UK and around the world. Equities generally offer the greatest potential for growth and, equally, have the greatest potential to go up and down in value. Want to know more about our investment philosophy? Click here for a quick introduction. Also known as a defined benefit scheme. This is a type of pension where the retirement benefit is based on your pensionable income and how long you have been a scheme member for. With this type of pension scheme, the income benefits in retirement are guaranteed. Anyone from the age of 55 and above with a qualifying pension can choose exactly when and how they would like to take their pensions savings1. If you want to know more about pension freedoms, click here. This allows you to access your savings from the age of 55 before you retire or reach your chosen retirement age1. You can take up to 25% of your private or company pension pot as a tax-free cash lump sum, if you’re not already drawing an income from it. Click here for the pension release facts you need to know. This is the age at which you can start to receive your State Pension. The current SPA is 65 for men and women. The SPA for both men and women will then increase to reach 66 by 2020. It’s due to rise even further to 67 by 2028. Here’s a helpful free downloadable fact sheet. This is the money you can take from your pension pot tax-free from the age of 55. It is usually up to 25%1. This is also referred to as a tax-free lump sum. Why not use our quick and easy calculator to find out how free you can afford to be. 1Taking money early from your pension might not be right for you, as it could leave you with less to live on than you need; it shouldn’t be seen as an easy way to raise money. That’s why it makes sense to get financial advice before making any big decisions.